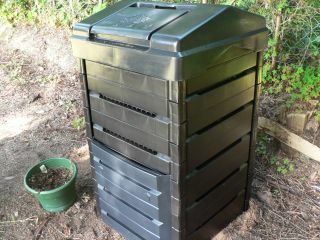 Compost - frequently asked questions. Making compost is becoming more important as we are becoming more aware that the need to reduce our garbage is a necessity for keeping our environment and planet healthy. 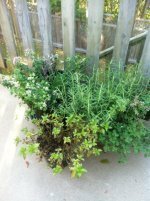 Making it is an easy effective way to reduce our garbage and transforms our kitchen and garden waste into a rich fertilizer for our vegetable garden. It is a natural process where organisms and bacterial break down organic matter into a rich dark soil material. This can be added to your vegetable garden beds to enrich the soil fertility and help prevent soil erosion. You can make a pile with or without a container. There are lots of different kinds of bins available. Check in your local phone book to find out what is available in your area. I have always used a wooden structure. In our backyard my husband built a 3 compartment unit, with removable front and lid. At my commercial organic garden I use pallets. They are a good size, easy to move around and free at the local building supply store. It is best to accumulate your waste and build the pile all at once, however it can be done over time, it will just take longer. If you are making it over time remember that each time your put in kitchen scraps or other green matter , and equal amount of brown material should also be used. The best time to make a pile is in the spring or fall. Heat or cold can slow down the decomposition process. For best results, the minimum size of your pile should be 3 feet by 3 feet. Use a variety of material with different textures. A pile of one item grass cutting for example will take a long time to decompose. Increase the air flow in the pile by turning it. Keep your pile covered. The sun will dry out your pile; the rain make it too wet. Never let your pile dry out. Make sure the pile is watered regularly, but not too wet. Take a handful from the middle of your pile, it should be crumbling not form into a ball. A pile will usually take 3-6 months to be ready, longer if it not managed well. Is ready to use when a dark rich color, smells good and crumbles in your hands. Now here are the steps to making compost . More questions? 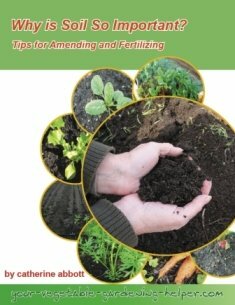 Are you having problems with your existing compost. Here are some answers to frequently asked questions.